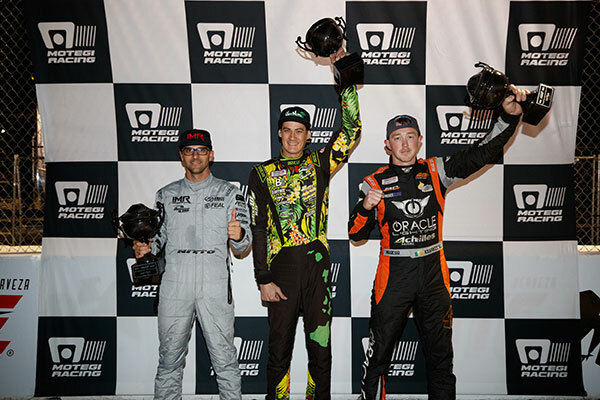 Long Beach, Calif. – April 8, 2017 – Formula DRIFT returned for night two of the Motegi Racing Super Drift Challenge as part of the 43rd Toyota Grand Prix of Long Beach. Forrest Wang in the Get Nuts Lab / Zestino Tires Nissan 240 is victorious. 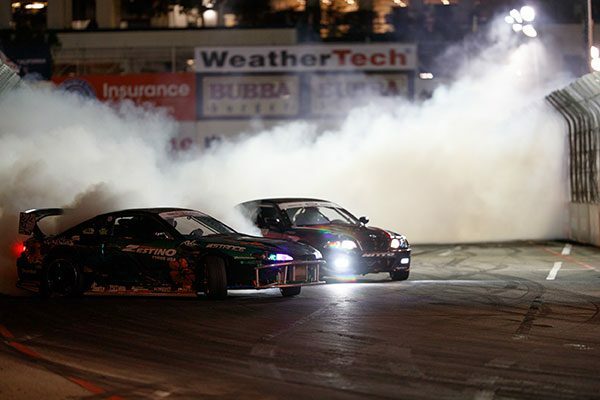 For the second consecutive night the Motegi Racing Super Drift Challenge brought drifting under the lights during the annual Toyota Grand Prix of Long Beach. On Saturday night of the doubleheader weekend, fans were treated to a fast paced and action packed evening. Night Two of the doubleheader weekend did not disappoint as the drivers put it all on the line for a chance at the prize pool. The Top 4 pitted last night’s runner-up, Alex Heilbrunn in the IMR / Nitto Tire BMW M3 against Dean Kearney, in the Oracle Lighting Dodge Viper. Heilbrunn’s consistency helped put him back into the finals for the second consecutive evening. Jhonnattan Castro in the Gerdau Metaldom / Nexen Toyota GT86 faced off against Forrest Wang in the semi-finals. Wang drove hard all weekend and the plume of smoke from his vehicle on his lead run made him a tough opponent. Castro had difficulty in the chase position, which helped give Wang the win to put him in the Finals. Wang took advantage of car issues that Heilbrunn was experiencing to beat him and take the win, while giving Heilbrunn yet another second place finish during the weekend. The action continues to Round 2: Unchartered Territory at Orlando Speed World on April 28-29. For more information visit, www.formulad.com and find Formula DRIFT on Instagram @formulad, Facebook www.facebook.com/formuladrift, Twitter @FormulaDrift, and Snapchat – formula_drift. Tune into Formula DRIFT on CBS Sports and check your local listings for airtimes.